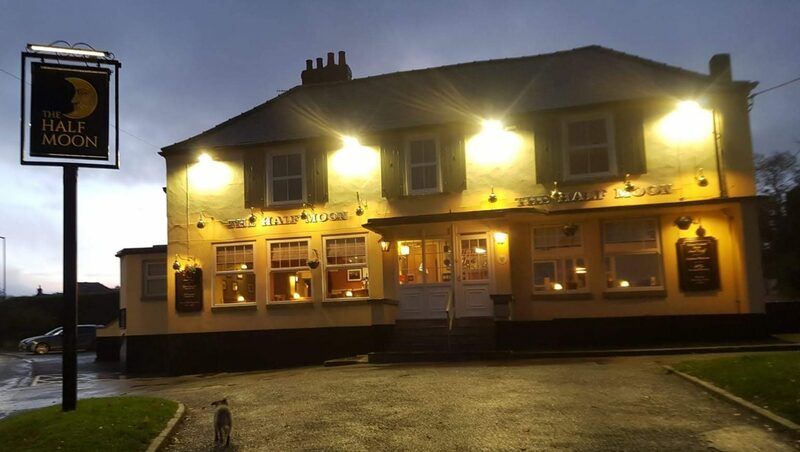 The Half Moon is situated in Easington overlooking the Village Green. It has ample private car parking surrounding the building. A warm welcome is guaranteed, especially during winter when the real fire is lit, when you arrive by either of the 4 entrances, 1 with disabled access ramp and toilet facilities. Our freshly made food is available 7 days a week (see food service times) and can be eaten throughout the pub. We have a great selection of Wines, Beers & Spirits with 2 real ales available.